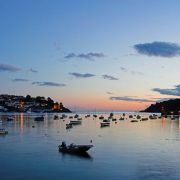 Fowey is a bustling small port which still has a busy commercial life in addition to providing attractive moorings for leisure boats. 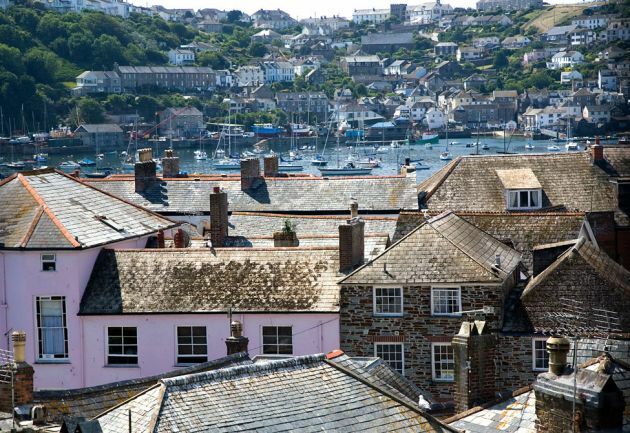 Its harbour is flanked by fourteenth century blockhouses, one in Fowey and one on the opposite side of the river in Polruan, from which chains were once suspended to close the harbour mouth. Polruan blockhouse may be visited on foot. 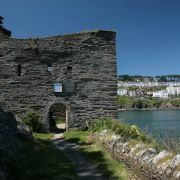 There is a good view from there of the remains of Fowey blockhouse, which is not open to visitors. During the Second World War, Fowey was the centre for air-sea rescue and also one of the places from which the D-Day invasions were launched. St Catherine's Point is on the Fowey side of the harbour entrance. In medieval times St Catherine's chapel stood on the cliff top, displaying a light and functioning as a lighthouse. The fort below, St Catherine's Castle, was built in the reign of Henry VIII to defend the harbour entrance. 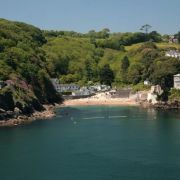 It is accessible on foot from Readymoney Cove. The local church is dedicated to St Finnbarr who is said to have passed through Fowey early in the 6th century. 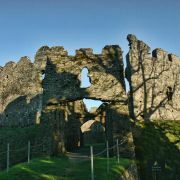 The church was destroyed by French marauders in the 15th century and was later rebuilt by the Earl of Warwick. Place House is the tower, standing behind the church. 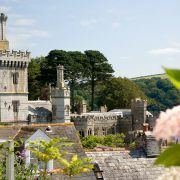 It has been the home of the Treffry family since the 13th century and is not open to the public. The best view of the tower is from the river. On Fore Street is the Old House of Foye, a medieval house built in 1430. It is one of the oldest buildings in Fowey and is now a shop. The walls, beamed interior and fireplace are scarcely altered from the original. 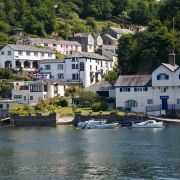 There are frequent ferries to Polruan, an interesting village with cottages clinging to the hillside. 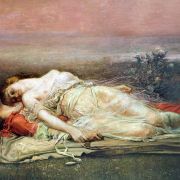 It is worth crossing to see the panoramic views from the top of the hill. 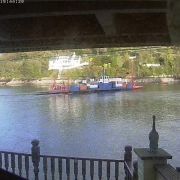 In addition, a car ferry crosses the river to Boddinick. The ferry house here was originally the du Maurier family holiday home and later the home of Angela du Maurier, Daphne’s sister and a lesser known novelist. The views from the top of Polruan Hill are stunning. 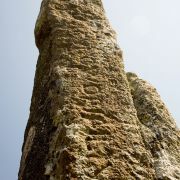 Further down, just above the village is a monument to Sir Arthur Quiller-Couch, the Cornish author known as “Q”. 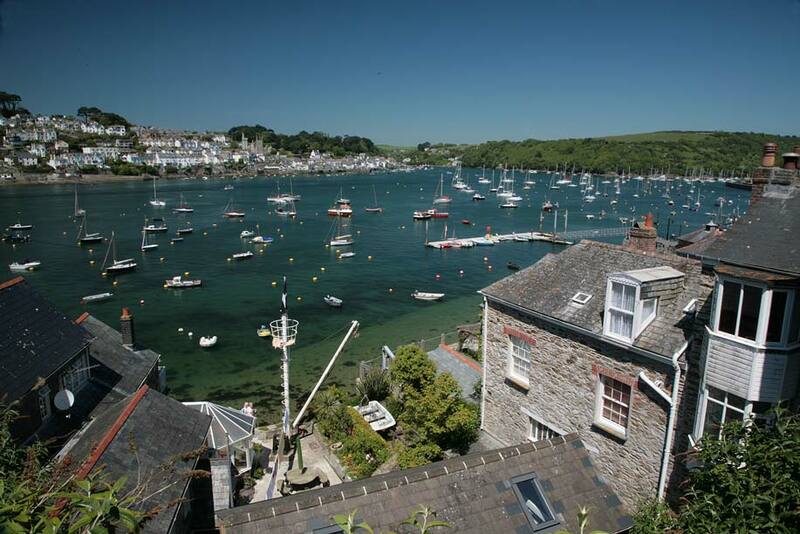 His Troy Town stories use Fowey as a model. 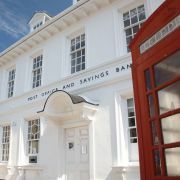 During the summer months, Fowey Town Hall houses a museum and a small aquarium. 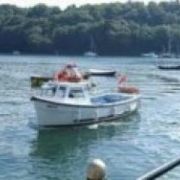 The port has an interesting history and was the major port on the south coast of Cornwall during the fourteenth century. 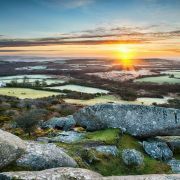 More recently, it was the main centre for the export of china clay from the area. 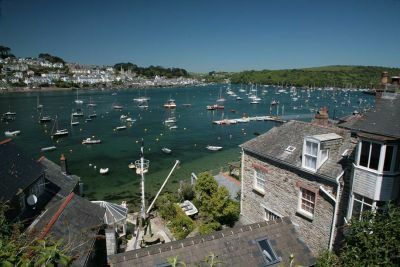 Many properties in Fowey and the surrounding area were owned by the Rashleigh family. 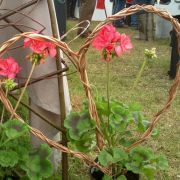 The town boasts many craft shops, galleries and restaurants. 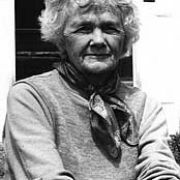 Daphne du Maurier is perhaps the most famous former resident of the town and the Du Maurier Festival is now held here each May. 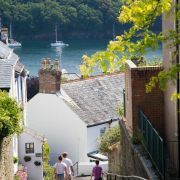 The Daphne du Maurier Literary Centre is next to the church and contains information about all of Fowey’s literary connections. 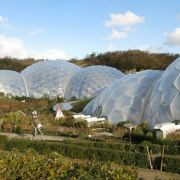 It is open daily throughout the year. 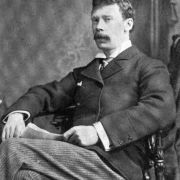 Another well-known author from the town was Sir Arthur Quiller-Couch, known as “Q”. 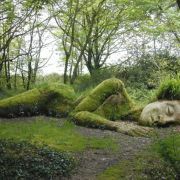 The Quiller Couch Memorial overlooks Fowey and is situated on the Hall Walk about 15 minutes from Bodinnick. Not far away, in a lay-by on the left side of the A3082 road into Fowey is the Tristan Stone, a sixth century inscribed monolith believed to be the burial stone of Tristan, son of King Mark of Cornwall. 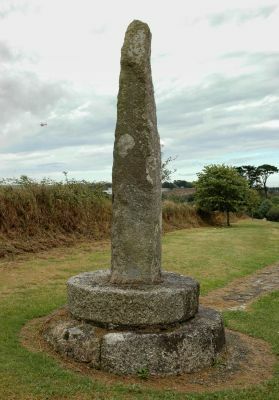 The stone dates back to the 6th century. 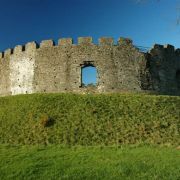 Restormel Castle at nearby Lostwithiel is also worth a visit. 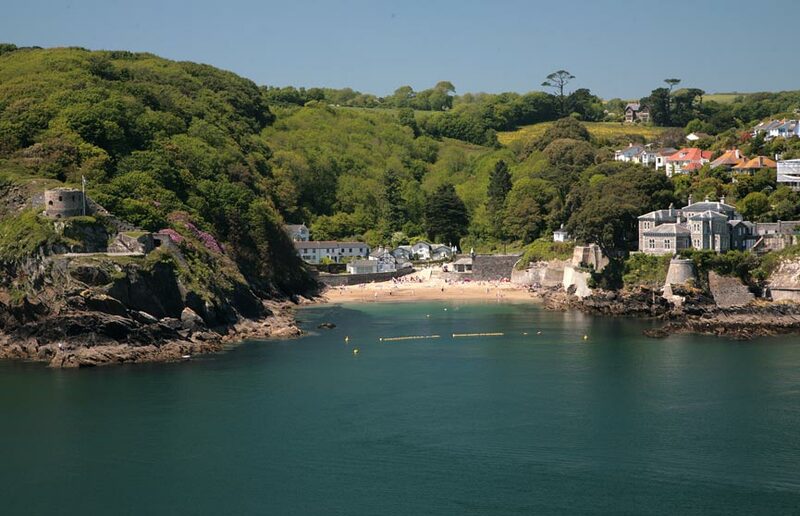 Nearby beaches include Crinnis, Par Sands, Polkerris and many, many more. 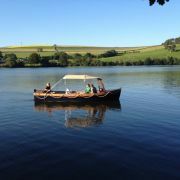 A ferry can be taken to the nearby fishing town of Mevagissey.